This upma is made with crumbled tamarind idli. 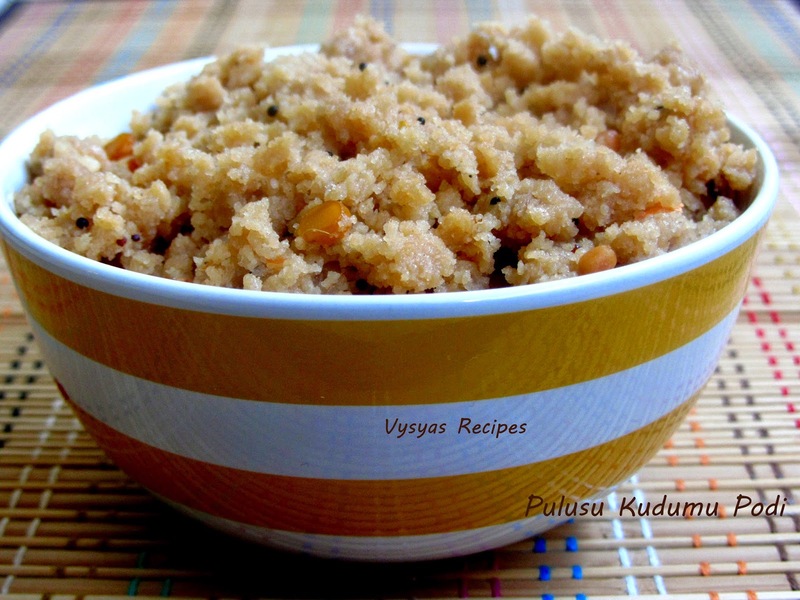 it is an authentic vysyas Recipe, and it gives some tangy taste to upma. tamarind - medium amla size. baking soda - 1 big pinch. oil -to fry [ 1 tbsp]. Soak the idli rice seperately for 3 to 4 hrs. Grind soaked idli rice,tamarid, redchillies, jaggery, coconut,salt to a course batter with needed water. [consistency should be moderate like idli batter]. Now the batter is ready.Add the baking soda to it and mix well. Using idli mould prepare idli's.pour the ladle of batter into each idli mould and steam it for 15 minutes as you prepare normal idli's . When the idli's cooled down,crumble the idli's, as shown in the above picture. Now heat the oil, add mustard seeds when it splutters add urad dal,chana dal, curry leaves, saute till dals turns golden brown colour. Now add 1/4 cup of water.adjust salt. when it starts boiling add crumbled idli's. mix well for few seconds, till water is absorbed and upma becomes dry. Now puli idli upma is ready to serve.